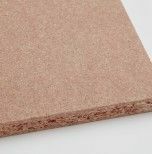 The panel P3 is a wood particleboard panel with a fine, sanded surface. 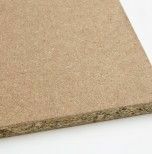 It's suitable for melamine, veneer or high pressure decorate laminate finishes. 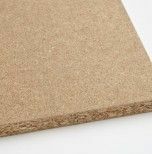 PB P3 can be used for furniture production, as it is easy to machine and has low formaldehyde emission levels (class E1). 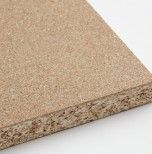 The particleboard P3 performs well in temporarily damp environments, with minimal expansion and swelling. 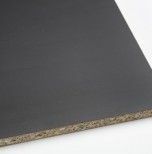 With regard to its reaction to fire, and in accordance with EN 13986, PB P3 (for a minimum thickness of 9 mm) is classified as D-s2, d0 (Euroclass definition according to EN 13501-1).